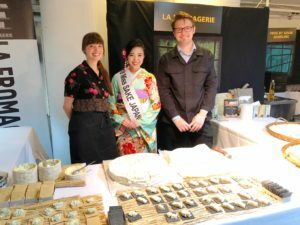 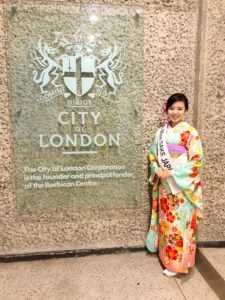 1 Asami Sudo, 2018 Miss SAKE, joined “the JOY OF SAKE London” at Barbican Centre. 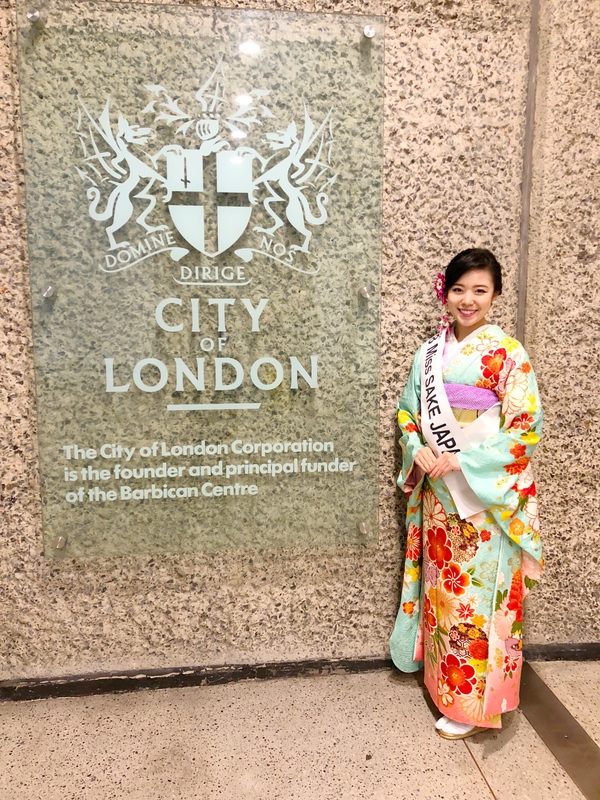 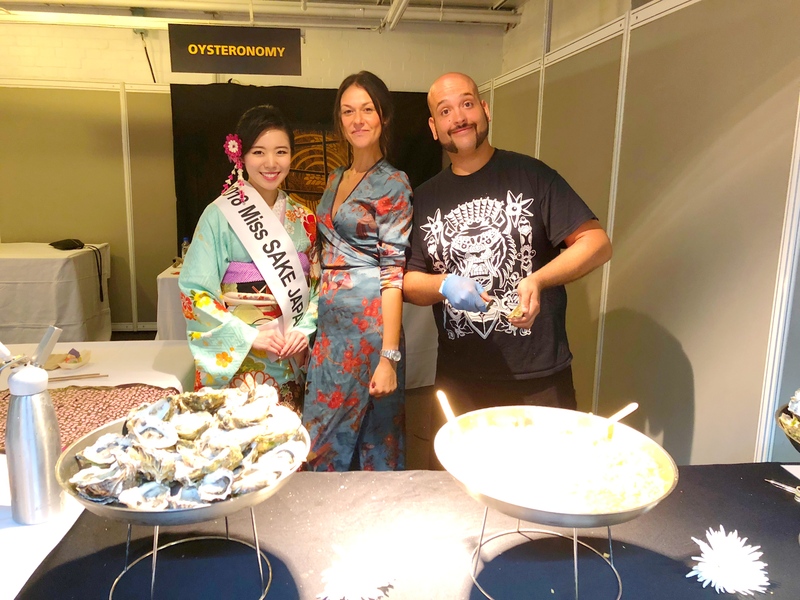 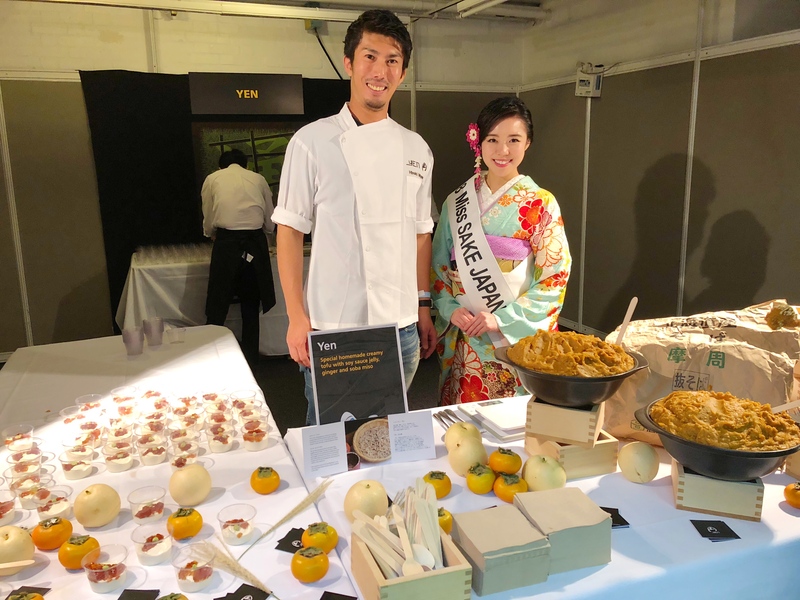 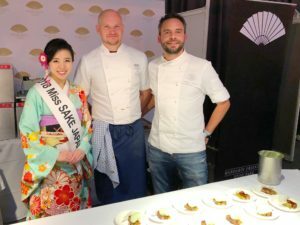 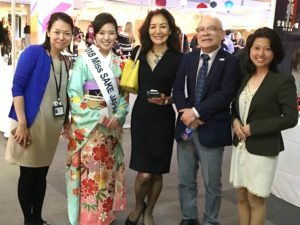 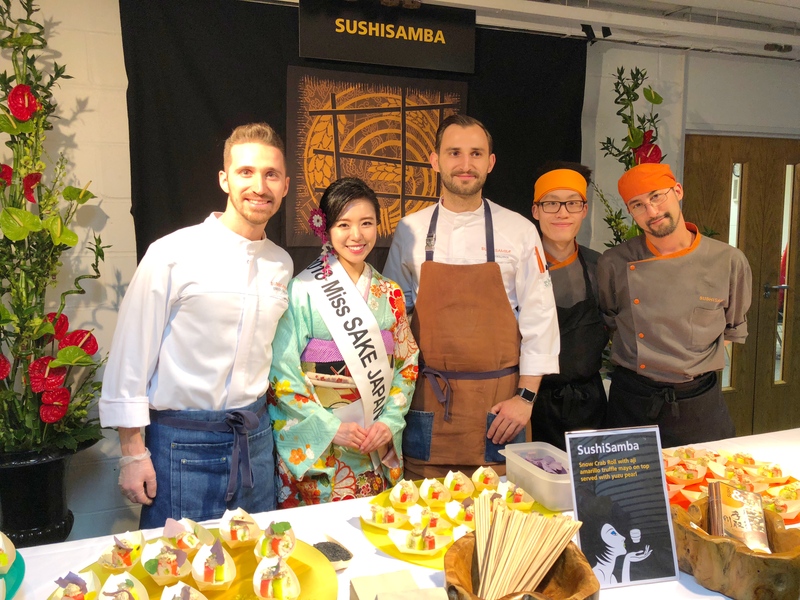 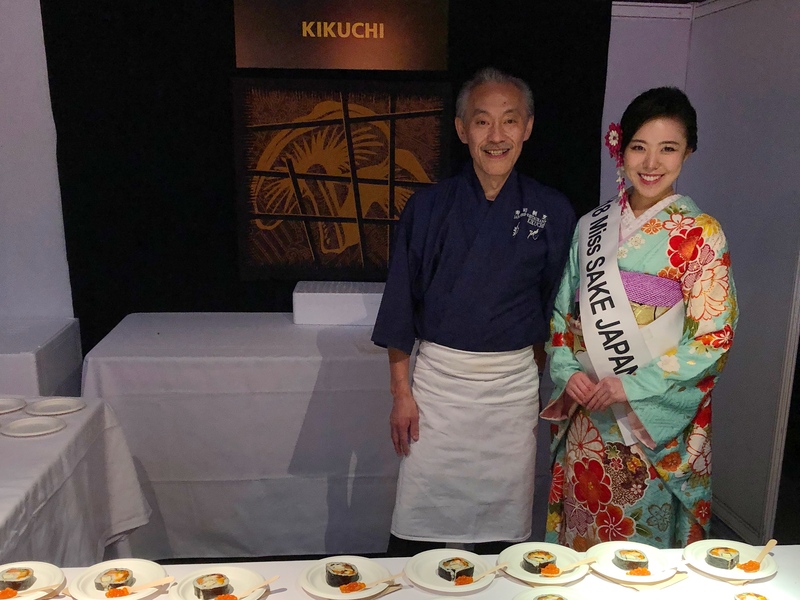 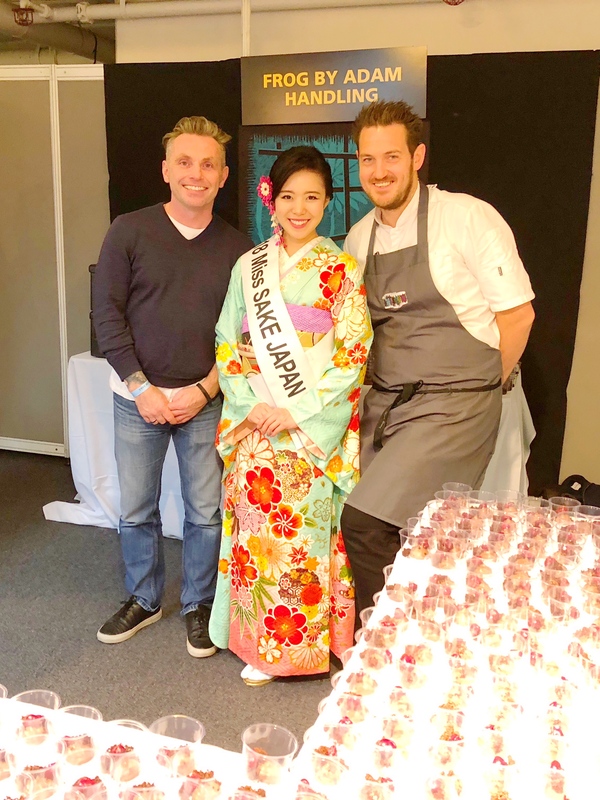 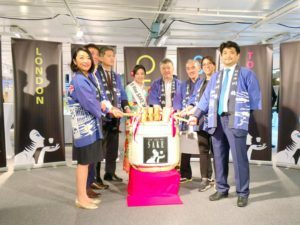 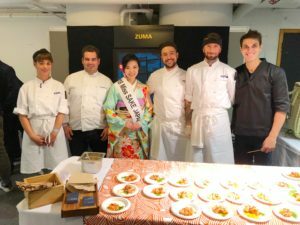 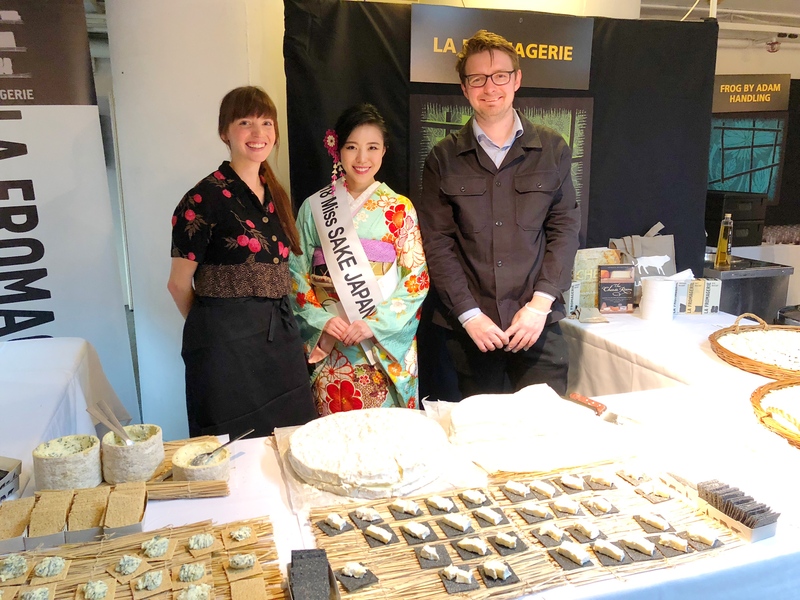 Asami Sudo, 2018 Miss SAKE, joined “the JOY OF SAKE London” at Barbican Centre. 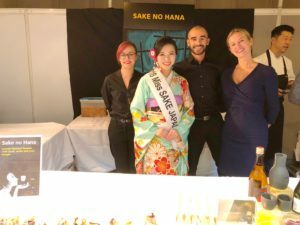 On September 28th, I joined “the JOY OF SAKE London” at Barbican Centre. 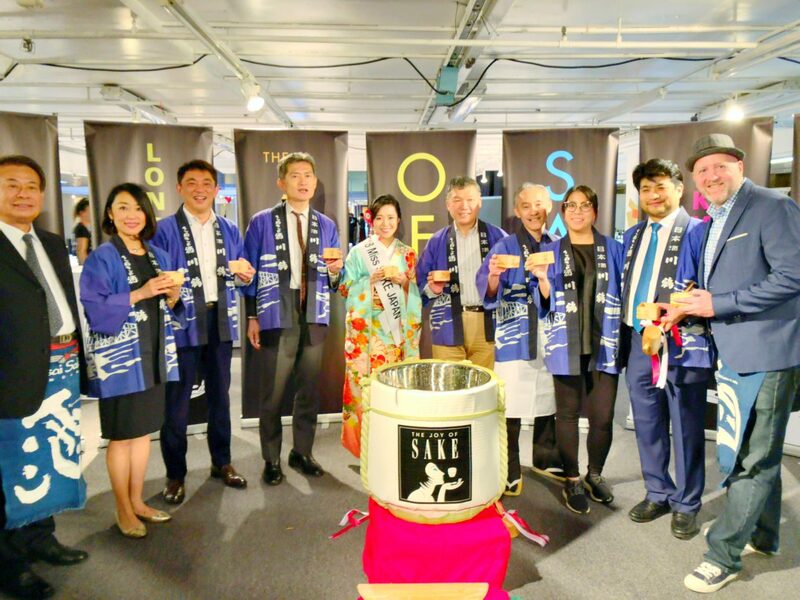 “The JOY OF SAKE, JOS” is one of the largest sake tasting events outside Japan, where you can enjoy all the sake entries to “the U.S. National Sake Appraisal” which is the oldest sake appraisal conducted outside Japan. 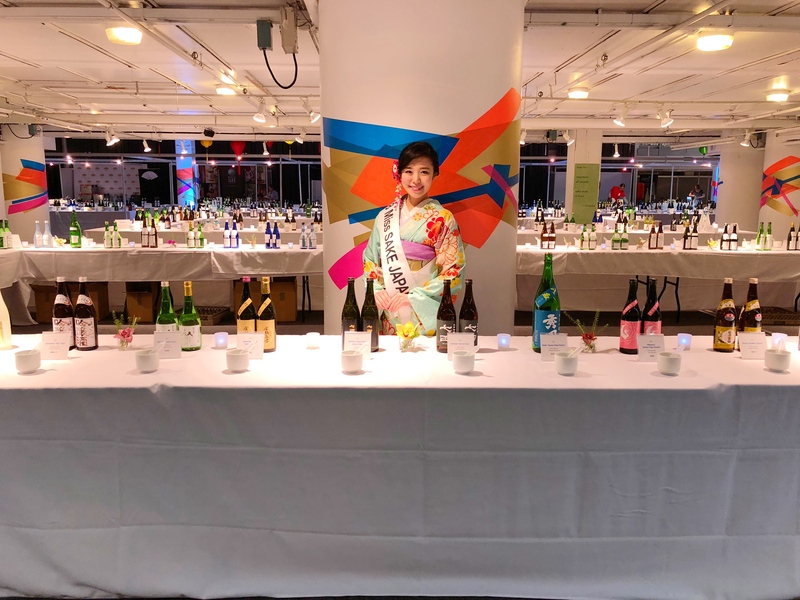 JOS started as a public tasting event of entries of U.S. National Sake Appraisal in 2001 in Honolulu, and has enlarged its scale to hold one in New York, San Francisco, Las Vegas and Tokyo. And finally, at the 18th year, JOS was held in Europe for the first time. This year, 478 sake entries from 194 breweries were at the venue with special dishes of top restaurants in London. 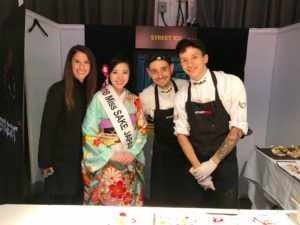 （Photos）With the restaurant members at the JOS London. 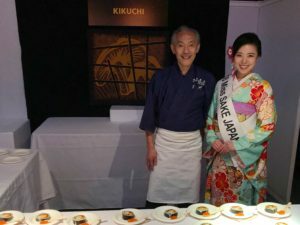 All the dishes at the venue impressed me so much. 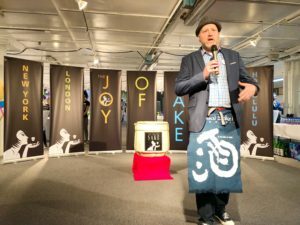 As this year is the very first-time JOS in Europe, many SAKE-loving people got together. 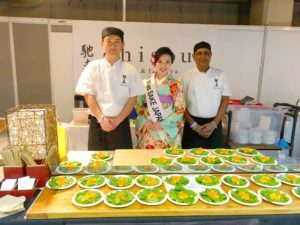 So from beginning to end, an energetic and joyous atmosphere prevailed at the venue. 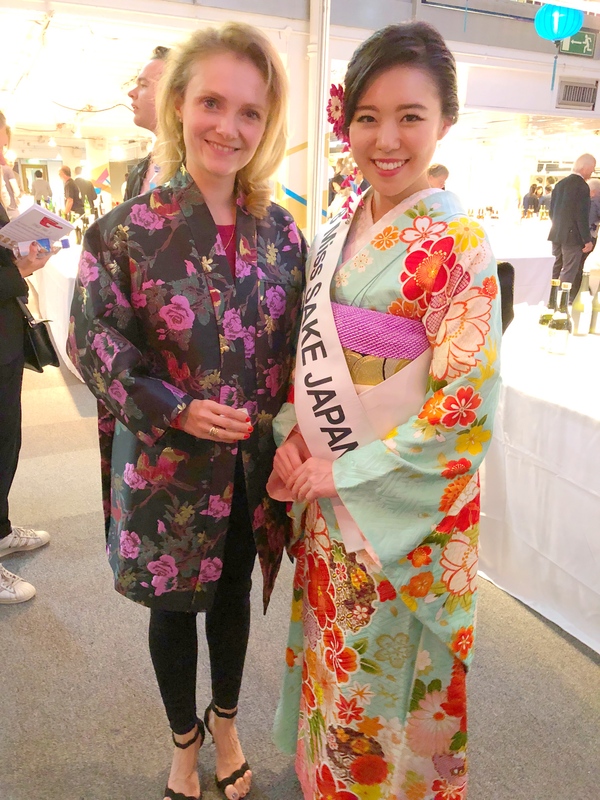 At the opening, it was a great honor for me to join the Kagami-Biraki ceremony and make a toast for the joyous night. 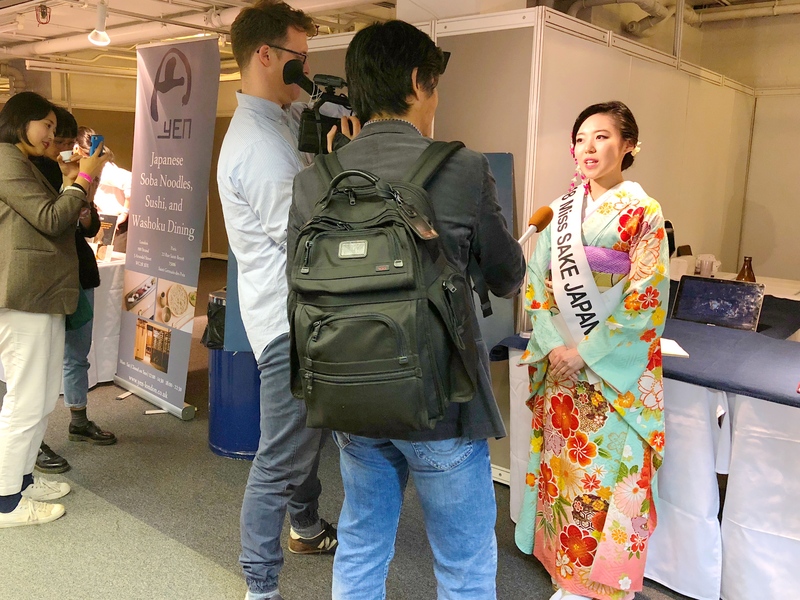 Also, I was very glad that I had lots of words of encouragement to our activities, and had a chance to get interviewed by some media. 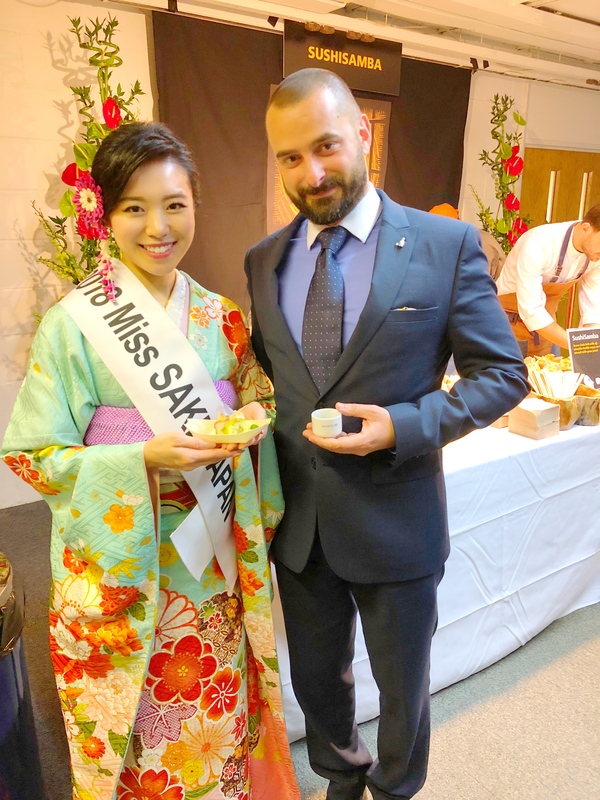 And this time, one of the most amazing things to me was the superb quality of food. 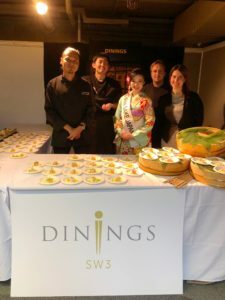 Beautiful decoration as a work of art, attracting performance to create dishes and, of course, greatness of its taste. 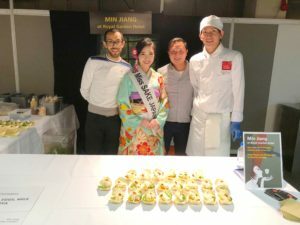 All the dishes at the venue impressed me so much. 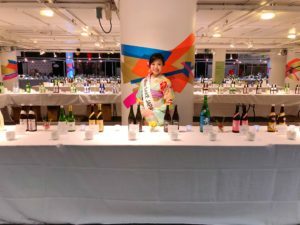 And at the same time, I felt the great potential of SAKE to harmonize well with each appetizer. 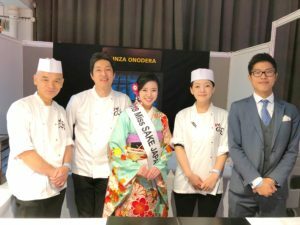 As Miss SAKE and as a Japanese, I was so impressed to see all the people there, including guests, restaurant members and management members, enjoy themselves to the full. By joining the event, I could literally share the “JOY” OF SAKE with people there. 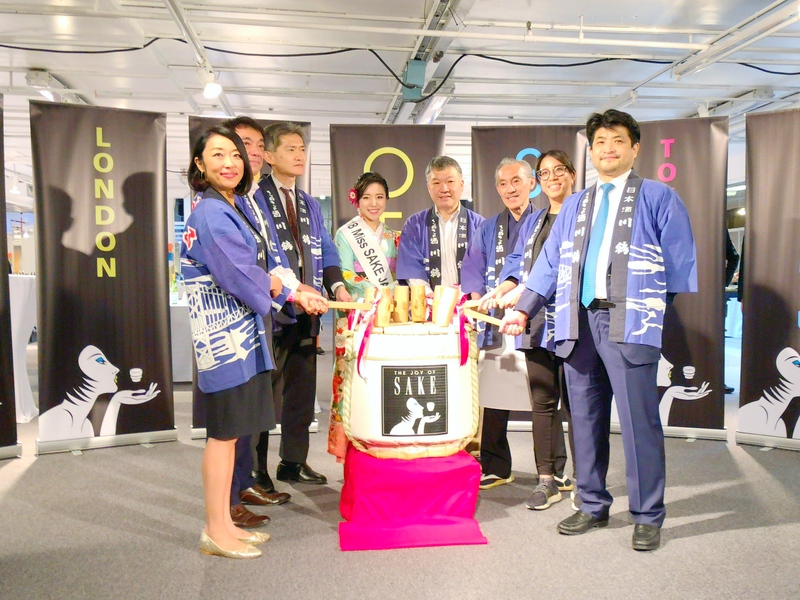 I extend my deep appreciation to the management members of JOS London and all the people involved. 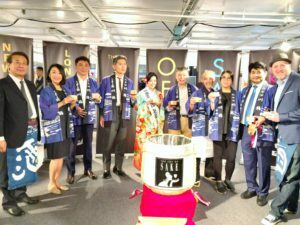 And, for those who couldn’t come to NY, Honolulu and London, the JOS 2018 are finally coming to Tokyo, Japan. 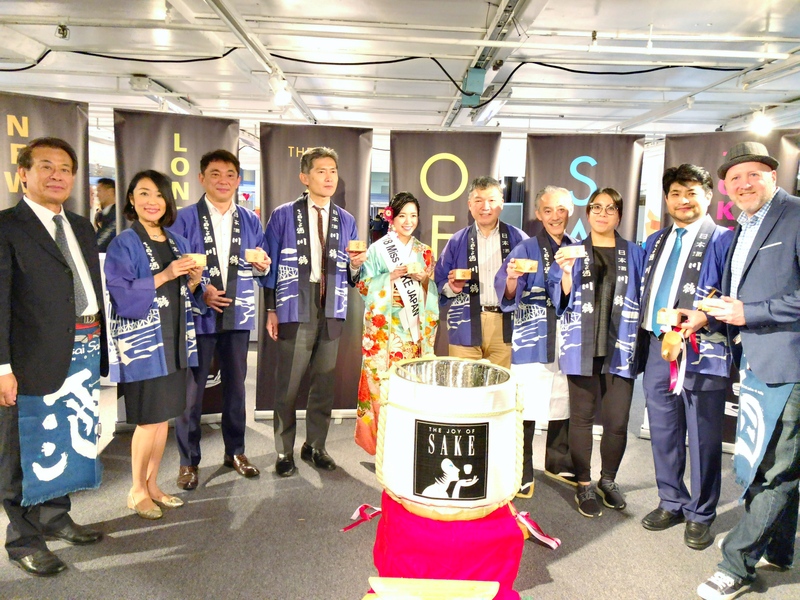 JOS Tokyo is held on Wednesday, November 7, at Gotanda TOC Building. 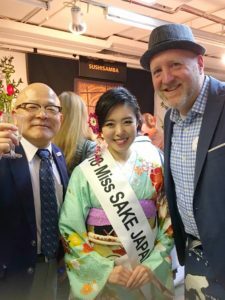 I hope a lot of people can enjoy exciting and elegant sake culture at the JOS. 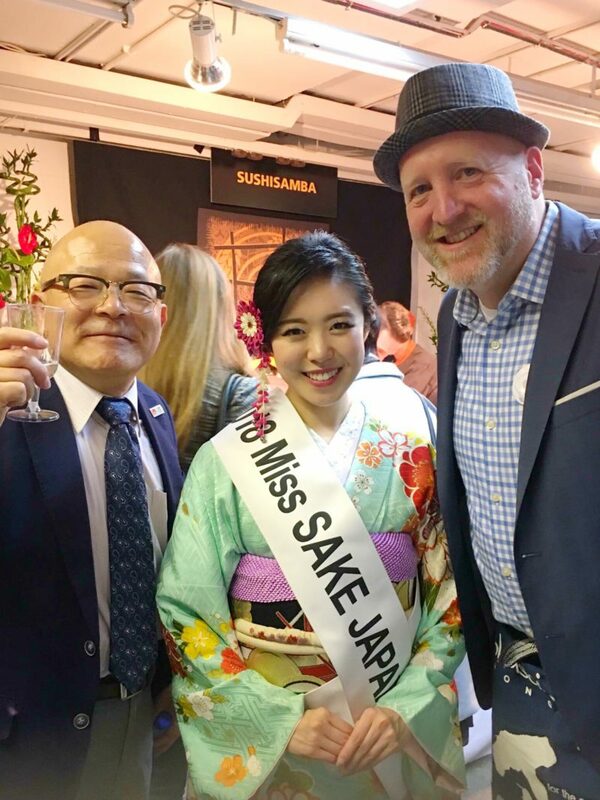 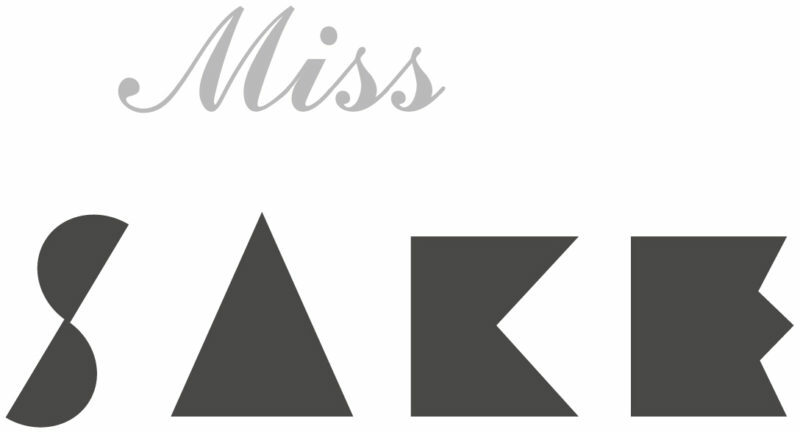 2018 Miss SAKE finalists and I will welcome you at the venue. 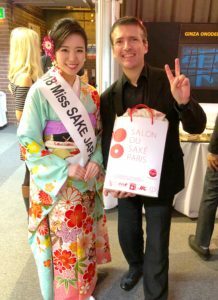 We look forward to seeing you in Tokyo!